Twenty-three 8th graders from schools throughout Queens spent a day touring engineering and computer science laboratories and learning about opportunities for women in STEM (science, technology, engineering and math). 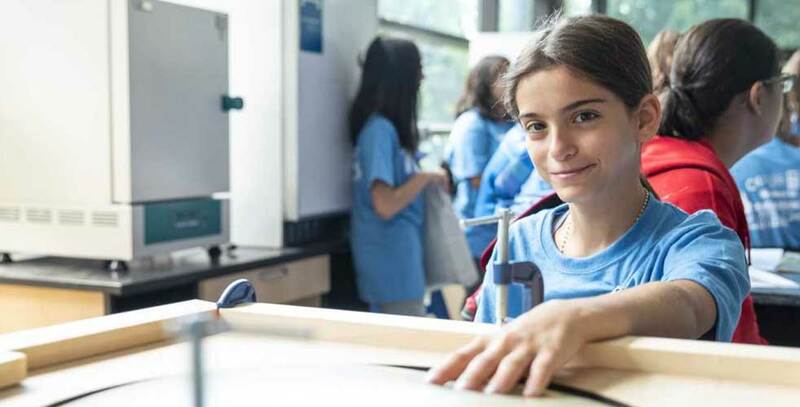 The girls visited campus as part of the Women in Engineering Summer Program, organized annually by The Mary Louis Academy, a private high school in Jamaica Estates, New York. Professors and students at the Fred DeMatteis School of Engineering and Applied Science gave tours of the Mechatronics, Civil, Cell and Tissue Engineering, Materials Analysis and Aerodynamics and Transport Phenomena labs. 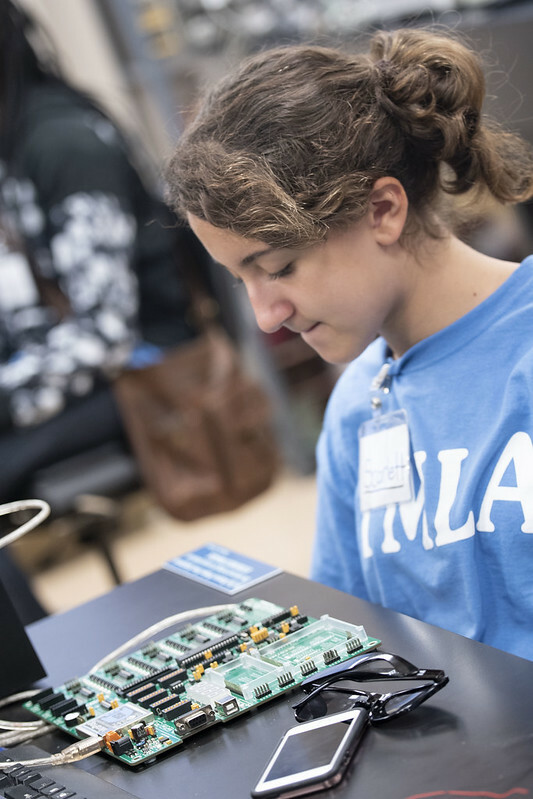 TMLA instructor Rhoxanne Morris-Vaughan said the experience was like being in an “engineering Disneyland,” noting that the girls’ eyes lit up every time they walked into a new lab. “This is the most hands-on engineering I’ve ever done,” said Cinzia Vikatos, an eighth grader at William Spyropoulos Day School. Biomedical engineering major Yanisa Anaya ‘19 demonstrated equipment in the Cell and Tissue Engineering Lab and talked to the girls about her research and career plans.